Blackjack is a simple game of cards offered by almost all the online casinos today. The aim of blackjack players is to make a hand that is higher than the dealer’s, without exceeding the sum of 21. 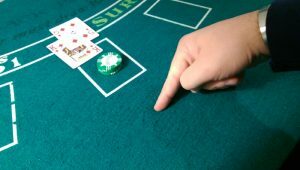 One of the many strategies used by blackjack players is Blackjack Surrender, which, when used properly, can reduce their amount of loss by half. If you are new to the world of blackjack, you should first learn about blackjack and the option of ‘surrender’ completely before you implement it in your game. Although you may be hard pushed to find a version of it at your current casino online, it is readily available on plenty of others. Its main perk is that it can help reduce losses, however, after a while, you may be getting an extra thrill from the adrenaline created when you outwit the dealer and cash out before you lose your whole bet! Check out this guide on how to best optimize your Blackjack Surrender games, by creating a strategy that works for you, and also find some awesome casino’s where you can play the game online! Live Dealer Bonus Play at Ladbrokes! + 100 Free Spins Play at Playamo! As the name goes, ‘surrender’ in blackjack means that a player can give up and move out of the round, if he has a weak hand that cannot possibly beat the dealer’s. The advantage of this option is that instead of losing the entire wager amount, you will only lose 50% of your bet when you surrender. This said, this varies slightly with a late surrender, as is in this case, before you can surrender, the dealer checks for Blackjack and if it is present in the dealer’s hand, you will still lose. Which we will we discuss in detail below. Essentially, the blackjack surrender rule is best optimised when your first two cards are so weak, that even a third card may not help in improving your hand and so you are at risk of losing your full bet. In such a case, you should simply say out the word ‘surrender’, after which your cards will be taken by the dealer and you would be out of the game. Alternatively, you can use to blackjack surrender hand signal, which is a simple slow swipe from left to right behind your chips. This motion essentially indicates you are ”cutting off your bet”. Naturally, if you are playing blackjack online, then there should be a button for you to click to indicate your intention to surrender. However, if you are playing a version of blackjack surrender with a live dealer, then you may also be able to simply state your intention on the live chat service most offer. ‘Surrender’ may seem like an extremely simple blackjack strategy, but to make the best use of it, you should know about the different surrender options in blackjack and when to use them. There are two types of surrender in blackjack – early and late. Early surrender is when the dealer allows you to surrender the cards and returns half the wager even before checking his hole card. This is the more seldom occurring type of the surrender rule and can work marvelously well for the player. But in late surrender, the dealer checks his hole cards before you can surrender. If he already has blackjack, he takes your entire bet amount before you are given the option. As such, this is the slightly more risky version. However, if he doesn’t have a blackjack in the hole, then you are still eligible for the half bet wager and can keep yourself from losing everything. While some online casinos accept both types of Blackjack Surrender, some accept only one of the two. So before you play, you should check whether or not the casino accepts the surrender option and which type. When to use the ‘surrender’ in blackjack? A number of casino players feel that the ‘surrender’ option is highly beneficial for them, as it reduces the house edge. This is partially true, as you lose only 50% instead of the entire wager, provided you surrender at the right time. With all blackjack, and indeed any card game, there is an element of risk. But it is still worth considering that in blackj ack surrender that risk is doubled, as if you if you surrender unnecessarily and the dealer busts, then you might be kicking yourself. 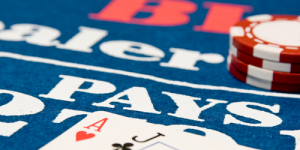 The phrase “better safe and then sorry” is a motto of many blackjack surrender players, particularly if you are playing on the higher end of wagering. It is key to not to panic and just surrender at every hand because you will never win and end up losing more than if you were a tad more ballsy. It is a tender balance, but one you can master with ease if you simply think about it logically and don’t surrender unless your hand is considerably difficult to win with. There is no set rule specifically that will work and having you benefit from surrendering in blackjack every time. However, depending on whether you are playing early surrender or late surrender, there are some rules of thumbs to apply. If you already know the best tactics to get ahead, why not play right now at Vegas Crest Casino. You can find the playing option for Surrender, as well as options for Insurance, Splitting, and Doubling Down in their American Blackjack Game! If you can choose between two options at a casino of Early or Late, the first tip is to opt for the Early Surrender option. This guarantees you that you will only lose half your wager, regardless of what happens, even if the dealer has blackjack. It is considered the less risky option, compared to the late surrender. 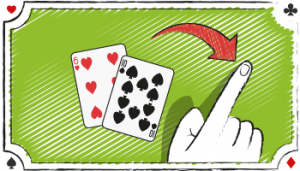 The second most important tip, is that if the dealer is holding an Ace, then this is the first warning sign that perhaps you want to consider early surrender. A dealer with a Ten should also be a red flag about proceeding w ith caution. However, the versatility of the Ace, means the odds are stacked immediately in the dealer’s favour. If the dealer is holding an Ace and you have a hard number between 5-7 or between 12-17, then you should most likely surrender. The same is said for a pair of 3, 6’s, 7’s or 8’s. This is because it is much more likely that the dealer is going to get a card on the better side of 17, thus leaving you in a predicament where you are forced to hit and potentially, bust. Which would result in a loss of the full wager and so it is better the cut. If there is 10 in the dealer’s hand, then you can relax slightly, but should be very wary of any combination between of cards that equal between 14-16, such as a pair of 7’s or 8’s. Naturally as well, if you have 18-20 on your first, DO NOT Surrender. It is about beating the dealer and it is very unlikely you will lose with such as a hand. The blackjack surrender rule is best used to simply to forfeit your hand if it is clearly bad and as explained, surrendering without considering the odds properly will definitely see you lose more often than not. These are essentially the basics of early surrender, however, some exceptions are required for certain games. In a single deck game, do not Surrender with 4+10 or 5+9, if the dealer has a 10. 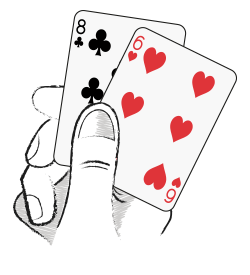 In a single deck game, do not surrender a pair 8+8 vs 10 in a single deck if a double split is allowed. In a double deck game, do not surrender with a 4+10 if the dealer has a 10. Late Surrender Blackjack is not as straightforward or as easy to predict, as other factors will contribute to whether it is worth to surrender or not. Of course, the biggest difference is the late surrender option is only offered after the dealer has checked for blackjack. If the dealer has blackjack, you still lose the full bet before you get the chance to bail out nice and early. This is why it is the preferred option in many casinos, both in the real world and online. If you want to gain an advantage, then you need to understand more fully the added elements at play. For one, you need to concentrate more specifically on the number of decks in play. As well as this, you may have to go all the way, so you will need to consider whether or not the dealer stands or hits on Soft 17. It is not hard to call correctly, just there is more to think about then simply the dealer having a high card. In fact, on the contrary, you have an added advantage of knowing that the dealer doesn’t have Blackjack. Although an Ace may be daunting, it still is not enough to force you into surrender every time, and neither should tens or nines. An important rule of thumb is that if you have below a 14 or above a 17, then it is not advisable to surrender as you are still very much in the game. It will depend on the desk size when it is the right move to surrender. 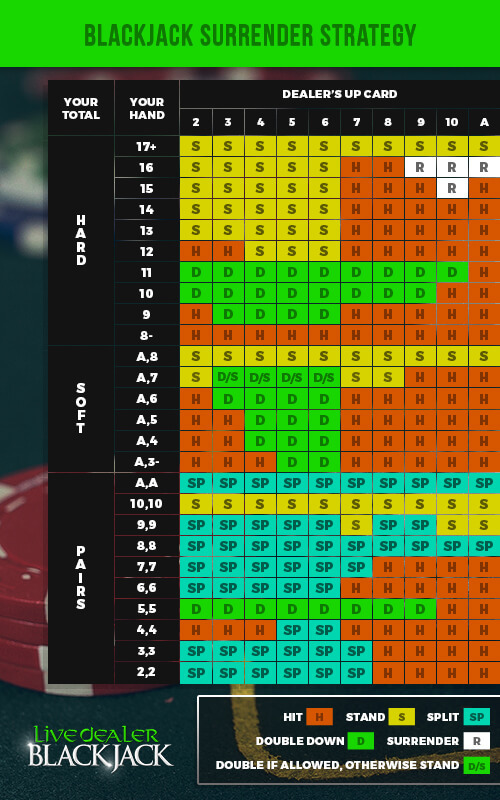 However, the first thing to consider is that on ALL deck situations where a dealer can hit on a soft 17, is holding an Ace and you have a 15,16 or 17, then the safest option is that you should surrender. All the other variables are listed separately. If the dealer has a 10 or Hard Stand on 17, you should stand on 16. You should not surrender on a 14, 15, 16 or 17 if the dealer has a 9. If you have a 14 or 17 you should not surrender. If the dealer stands on soft 17, you should surrender if you have a 16 and the dealer has an Ace. If a dealer has a 10, then you should surrender on 15 and 16. You should not surrender on 14, 15, 16 or 17 if the dealer has a 9. If you have a 16 and then the dealer has anything above a 9 you should stand. If you have 15, you should surrender if the dealer has a 10. If you have 15, you should not surrender if the dealer has a 9 or an Ace if it is a soft 17 stand. The exceptions to these rules mainly reflect on a specific set of cards that equal an amount. As such, these are the sets of card that will affect your decision. Unless mentioned, all other rules mentioned above remain. This complete guide should assist you with knowing when to surrender and when in less difficult scenarios. If the dealer has a 10 and you have 7+7, then in this scenario, you should surrender on 14. If the dealer has an Ace, a hard 17 stand and you have a 14 made up of 7+7, in this scenario, you should also surrender on 14. If the dealer has a 10 and you have a 15 made up of 9+6 or 10+5, then in this scenario, you should surrender. If the dealer has a 10 and you have a 15 made up of 9+5 or 10+5, then in this scenario, you should surrender. If you have 8+8, you should not surrender on anything, unless double splitting is not allowed. If not, then you should surrender only to a dealer with an Ace and a Soft 17 stand. You should surrender on 8+8 if the dealer has an Ace and Soft 17 Stand. Although, it may seem a lot to process, if you remember these combinations, you will make the most out of any blackjack surrender game you may find yourself playing. Try out your newly acquired skills right now at Betchan! They have plenty of options for Blackjack, as well as a game specifically for Blackjack Surrender, so check them out today! Blackjack is a skill game, but luck also plays a small role in helping you win. Blackjack Surrender is an option in blackjack that can be used to reduce your losses if bad luck doesn’t occur in spite of your skills. To use it right, it is most important not to surrender too much or at points where it is not worth it and should only be used in tight situations. Follow these tips and you will know exactly when to use the surrender rule and how.